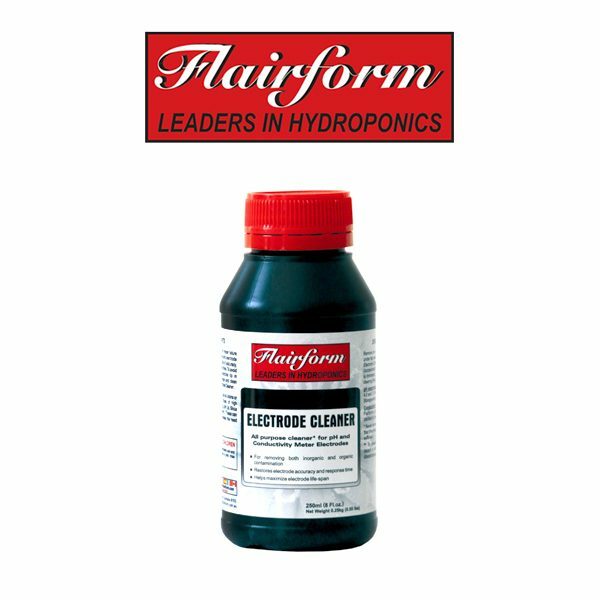 In many situations, Flairform’s electrode cleaner eliminates the need to re-calibrate. Electrode cleaners are usually made from acids, alkalis or chelates. However, these chemicals are largely ineffective for cleaning electrodes that have been contaminated by nutrient solutions. 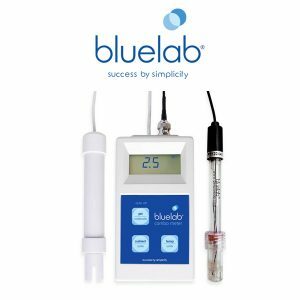 Suitable for both pH & conductivity meter electrodes. 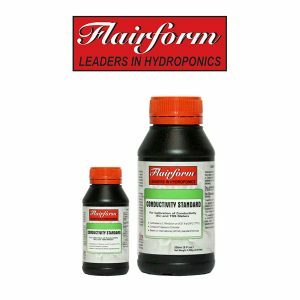 Removes both inorganic and organic contamination. Restores electrode accuracy and response time. 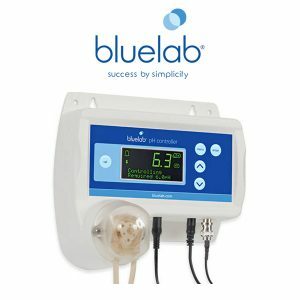 Unlike with other cleaners, the electrode does not require ‘rest’ time after being cleaned. Easy to use: Soak electrode for 5 minutes. Electrode care: Avoid placing electrodes in oily solutions as they can “coat” the electrode. Further, avoid measuring (or leaving electrodes for too long) in harsh chemicals. For example, highly caustic or concentrated solutions such as raw nutrient, pH Up and silica additives.